IMPORTANT: You may receive a phone call from Direct Energy as a result of completing this form. This phone call is NOT a marketing phone call. 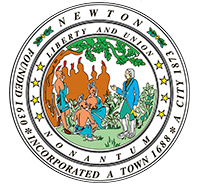 This phone call is required by Massachusetts law to obtain your consent for enrollment in Newton Power Choice if your account is not already enrolled. It is important that you respond to this phone call if you receive it. If Direct Energy cannot reach you, your account will not be enrolled in any of the options in Newton Power Choice. Please be sure to include a phone number where you can be reached in the event Direct Energy needs to call you. Or you may contact Direct Energy at 1-866-968-8065 and ask them to change your program option. You will need to provide your Eversource electricity account information when you call.